Florida REALTOR® Cindy Forstall spent 30+ years in the banking arena but always knew she would one day be a REALTOR®. Cindy graduated Pensacola State College, earning a degree in Business Administration with an emphasis in Bank Management before she moved to the Space Coast. Her love of helping people and the fast-paced, ever-changing environment of real estate lured her into becoming a REALTOR®. 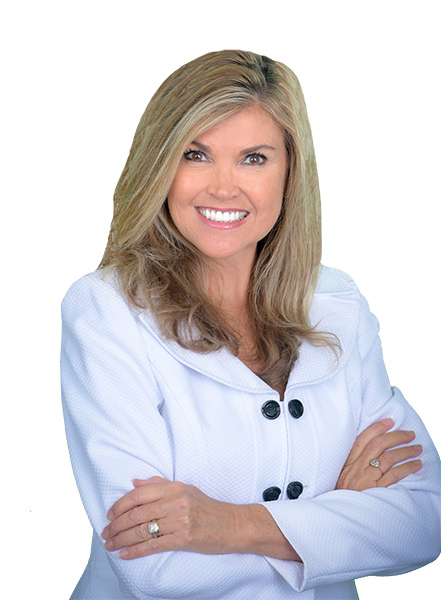 In 2010, she earned her Florida Real Estate license and joined Dale Sorensen Real Estate in 2016. Her passion for real estate and success quickly saw her earning a title of Top Producer in the $3-4 million bracket in 2017, her first full year as a real estate agent. She was also in the top 10% of Realtors in Brevard County, ranking #490 out of more than 4,000 agents, an exceptional feat for a seasoned veteran, let alone someone fairly new to the industry. The reasons for her success are many. Her successful career in roles as Vice President, Bank Manager, Business Banker and Senior Relationship Manager has given Cindy a real talent for explaining complex financial details to clients in an easily understood manner. Today she uses that skill to help buyers and sellers understand real estate's often complex financial documents. Because each family or individual is unique, she tailors her service to meet each client's specific wants and needs while giving them the highest quality of representation in reaching their real estate goals. Their welfare and satisfaction are her top priority. A lifelong learner in the financial industry Cindy continues to take real estate classes on subjects such as negotiation and marketing in order to best serve her clients. Then she spends time researching to discover new and better ways to enhance her service with the most current resources and tools. She is a Certified Marketing Specialist, which means she is trained at addressing in-depth market analysis, strategic pricing and effective home staging, providing her the expertise to excel in today’s competitive real estate environment. She is also highly trained in effective global market strategies, proven investment services and in the luxury beachside lifestyle. Cindy strongly believes that the best way of personally knowing and serving your community is being an active and contributing part of it. She has been or is currently on the board or a committee member of dozens of local charitable and business organizations, including The Greater Palm Bay Chamber of Commerce, Honor America, Florida Kiwanis, Kiwanis Club of Melbourne, Melbourne Art Festival, and Big Brother Big Sisters. Cindy not only sells the Florida lifestyle, she lives it. Her hobbies include golf, going to the beach, and spending time with her husband and beloved pets.